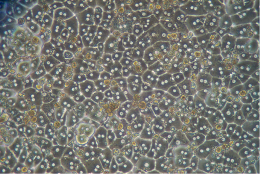 HepatoSure™ is XenoTech’s 100-donor pool of cryopreserved human hepatocytes. 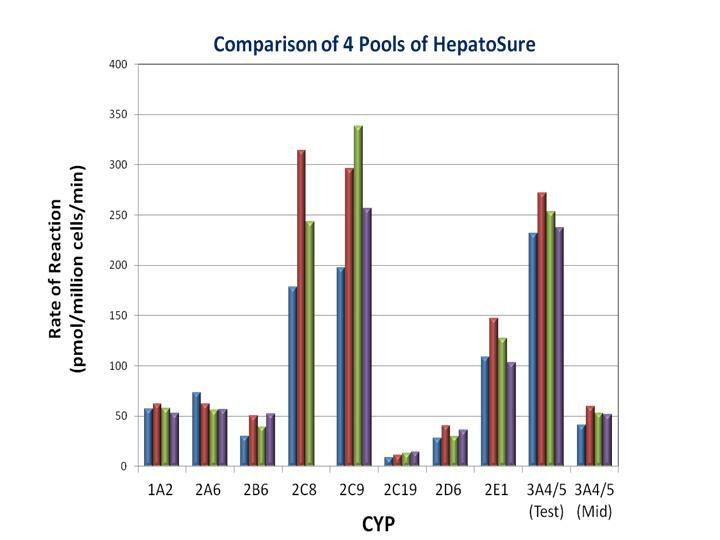 The largest pool on the market, HepatoSure™ provides the best value when it comes to consistency of data reproducibility. This pool is characterized for 10 CYPs activities, UGT and SULT. This characterization can be found with mostly any other pool…so what’s more with HepatoSure? We have added the Aldehyde Oxidase activity, using 2 marker substrates since AO metabolism can play an extensive role in the clearance of many drugs. Intrinsic clearance values, using 5 marker substrates have been also added and finally we looked into uptake activity with 4 specific transporters. Why having a large pool if we would be unable to offer lot-to-lot consistency? In the following graph we represented the activities for 4 different HepatoSure™ lots. Has shown there is minimal variability when comparing lot-to-lot. HepatoSure™ was designed for assays where continued use of historical data is desired. 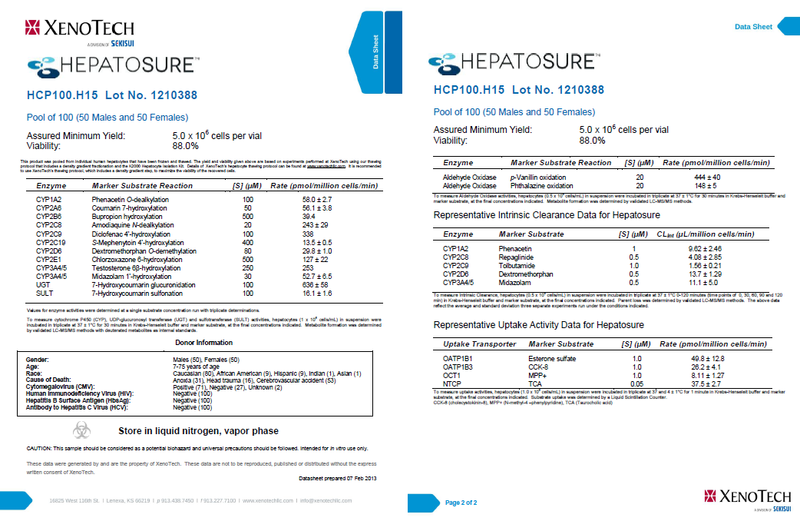 HepatoSure™ is a 100-donor pool offering large perspective of offering a high number of vials. If you intend to harmonize to source a unique batch for multi-site, HepatoSure™ is probably the best solution to consider. Each order of HepatoSure™ is shipped with the HepatoSure™ Optimization Kit, a nutrient rich media which ensures consistent cell yield and the highest possible viability.